When hunting neutrinos, a more powerful particle beam increases the chance of seeing neutrinos interact. Fermilab scientists recently set a new world record for high-energy neutrino experiments with a sustained 521-kilowatt beam, and will soon achieve beam power over 1 megawatt. Scientists, engineers, and technicians at the US Department of Energy’s Fermi National Accelerator Laboratory (Fermilab) have achieved a world record for high-energy neutrino experiments: a sustained 521-kilowatt beam generated by the Main Injector particle accelerator. 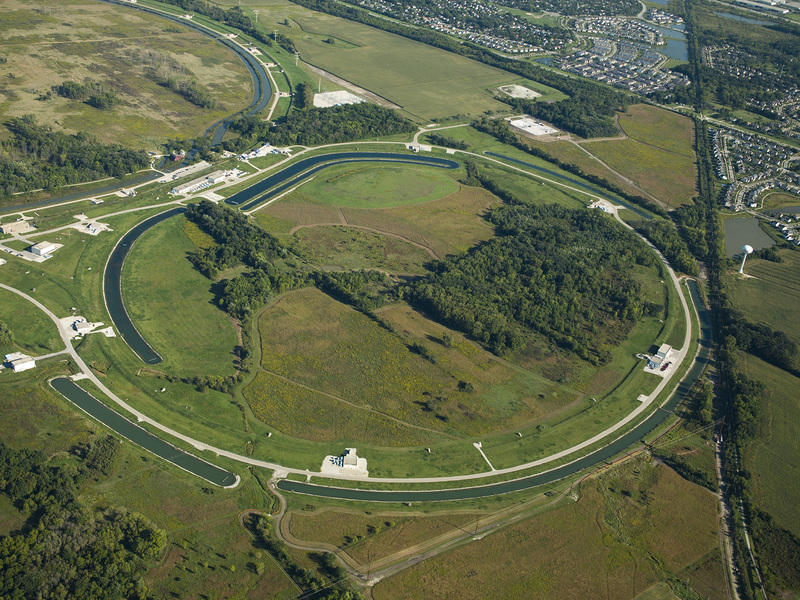 Fermilabs record surpasses the previous 400-plus-kilowatt particle accelerator beam mark. Beam power is a key element in particle-accelerator-based neutrino experiments because the more particles you pack into the beam, the better your chance to see neutrinos interact in the detector. Fermilab's Main Injector accelerator, one of the most powerful particle accelerators in the world, has just achieved a world record for high-energy beams for neutrino experiments. Courtesy Fermilab. 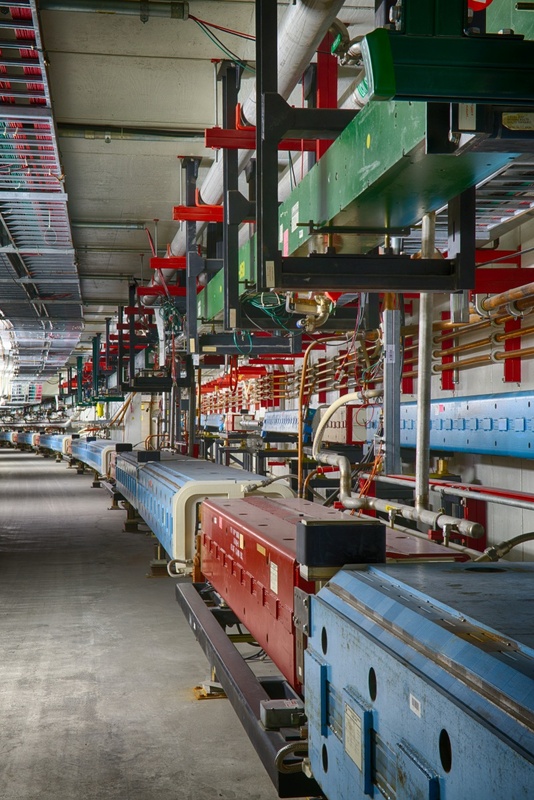 The Fermilab accelerator complex plans to gradually increase beam power over the coming years. The next goal for the lab’s two-mile-around (~3km) Main Injector accelerator is to deliver 700-kilowatt beams to various experiments. Ultimately, Fermilab plans to make additional upgrades to its accelerator complex over the next decade, achieving beam power in excess of 1 megawatt (1,000 kilowatts). The amped-up particle beam provided by the Main Injector enriches the lab’s neutrino supply, positioning Fermilab to become the world's primary laboratory for accelerator-based neutrino research. Neutrinos are also made in stars and in the Earth’s core, and they pass through everything — people and planets alike. Neutrinos rarely engage with matter: Only one out of every trillion emerging from the proton beam will interact in an experiment’s detector. The more particles in that beam, the more opportunities researchers will have to study these rare interactions. Laboratory-made neutrino experiments start by accelerating a beam of particles, typically protons, and then smashing them into a target to create neutrinos. Scientists then use particle detectors to “catch” as many of those neutrinos as possible and record their interactions. Smashing protons is only the first step in the computationally intense neutrino hunt — storing and transporting experiment data are necessary supplements, as are high-performance computer simulations. To meet those requirements, Fermilab offers 500 petabytes of storage capacity for scientists wading through the huge data sets generated in the search. As a founding member of Open Science Grid (OSG) Consortium, Fermilab also connects distant scientists via national research and education networks, such as the DOE's 100Gbps Energy Science Network (ESnet). In addition to storing and disseminating experiment data, Fermilab compares collider data against high-performance computing simulations like those performed with Synergia, a hybrid Python/C++ software package. Through their US Lattice Quantum Chromodynamics computer facilities, Fermilab also offers nearly 3,000 nodes of supercomputing power to nearby researchers in order to provide precise calculations of particle properties. What's more, Fermilab remains a primary US processor of Large Hadron Collider data. More than 1,000 physicists from around the world will use this high-intensity beam to closely study neutrinos and fleeting particles called muons, both fundamental building blocks of our universe. Scientists aim to address basic questions about the mass and properties of each kind of neutrino as well as the role neutrinos played in the evolution of the universe. Fermilab operates four neutrino experiments: MicroBooNE, MINERvA, MINOS+, and NOvA, the laboratory’s largest-to-date neutrino experiment, which sends particles from Fermilab’s suburban Chicago location to a far detector 500 miles away in Ash River, Minnesota. The laboratory is expanding its short-baseline neutrino program and will also host the proposed flagship Long-Baseline Neutrino Facility and Deep Underground Neutrino Experiment (DUNE). “Fermilab’s beamline has been a tremendous driver of neutrino science for many years, and the continued improvements to the intensity mean that it will remain a driver for many years to come,” says Indiana University's Mark Messier, co-spokesperson for the NOvA experiment. Fermilab is preparing to operate two experiments for studying muons, short-lived particles that could reveal secrets about the earliest moments of the universe. The increased beam power will also benefit the Fermilab Test Beam Facility, one of the few facilities in the world that provides muons, pions, and other particles that researchers can use to test their particle detectors. “Reaching this milestone is a fantastic achievement for Fermilab; beam power is everything in our field,” says DUNE co-spokesperson Mark Thomson of the University of Cambridge. “The ability for Fermilab to deliver, yet again, gives the international neutrino community huge confidence in the future US-hosted neutrino program." Read the original Fermlab press relase here. Read more about neutrino detection in our 17 December 2014 feature, Simulating Ice Cube data with GPUs.